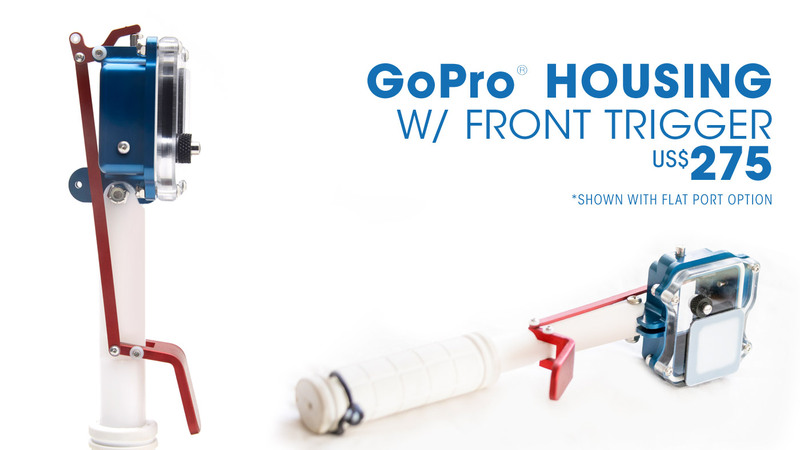 * The GP4 housings fit the GoPro Hero 3, Hero 3+ and Hero 4! All housings are sold directly through SPL Waterhousings, email us for purchase price and to place all orders. 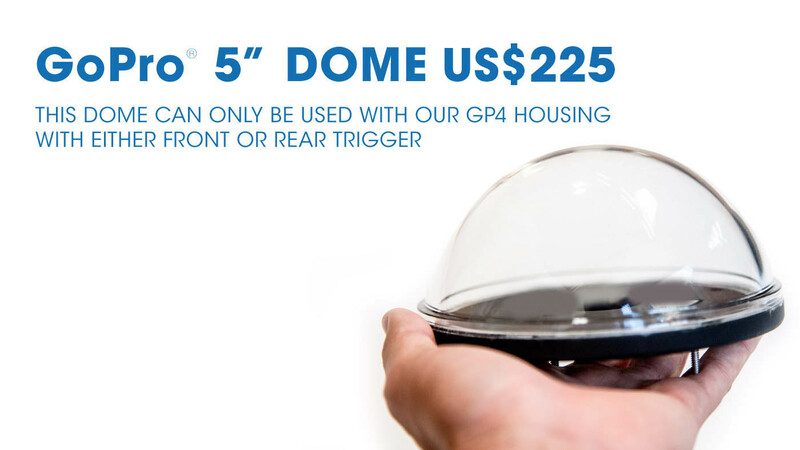 Dome Ports are interchangeable with our standard flat port and can be purchased separately. The reason why our go pro housing is different then a normal GoPro housing is that ours is machined out of billet aluminum. The pistol grip linkage gives you the ability to take the photo or start video with one hand while using the other had to pull yourself through the wave. 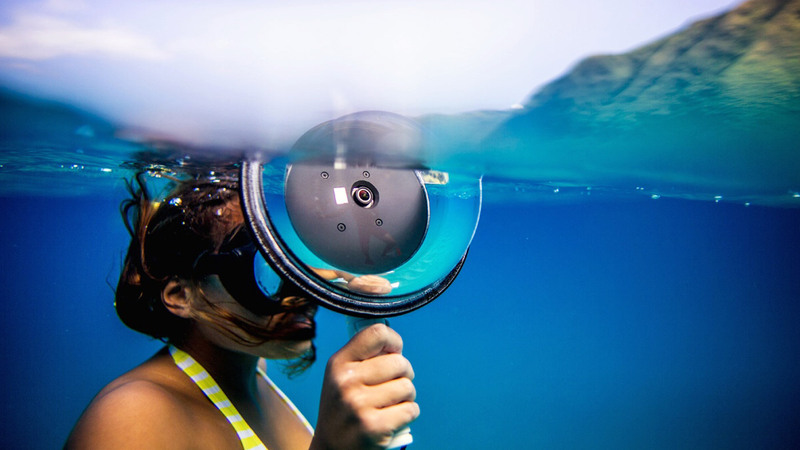 They are great under water housings for photographing surfing, sailing, kite boarding, bodyboarding, fishing or many other shallow water activities. 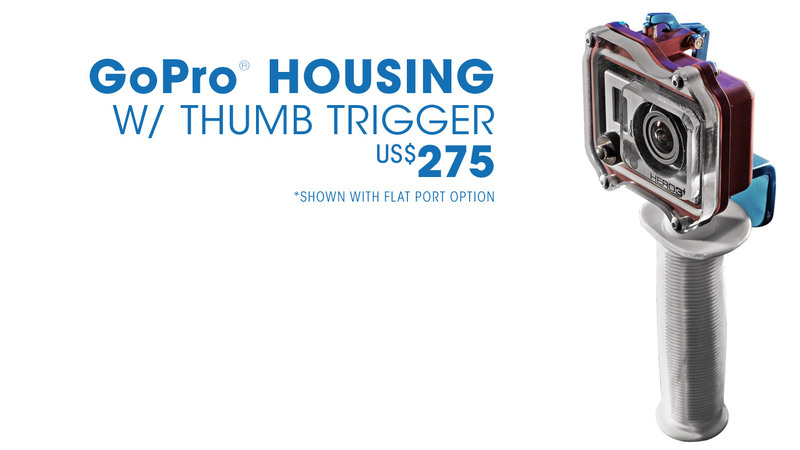 Tough and durable with a very convenient thumb trigger for activating the cameras recording functions. What is an over/under port for? 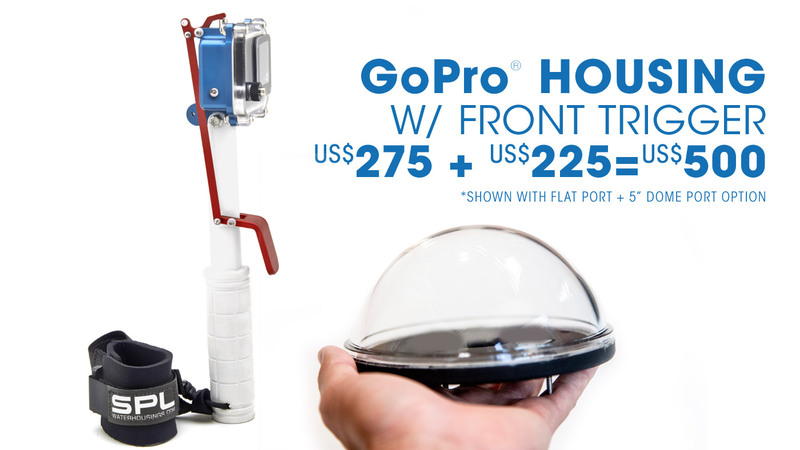 An over/under dome is a large dome that pushes the waterline away from the front of the lens. This makes it easier to have half of the photo above the waterline and half the photo under the waterline. The larger the dome the more above and the more below the water is in the photo and the easier it is to achieve this look. Housings are machined from a single piece of ultra light-weight billet aluminum. All aluminum is hard anodized to protect against salt water corrosion. To purchase your new SPL GP4 water housing click below to fill out the short form and we’ll get back you in as little as 24 hours. 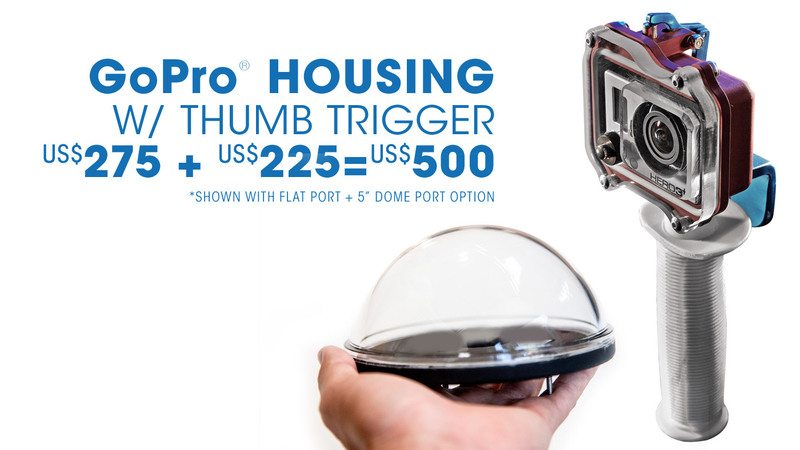 Please remember you are purchasing a housing system, not just a trigger, that will be expandable in the future with more accessories on the way. *There is a 40% restocking fee for all GP Series returns.